Course descriptions are located at the bottom of this page. Cory Maddox holds degrees from Georgia Southern University (BS in Political Science; MBA) and Liberty University (Ed.S.). 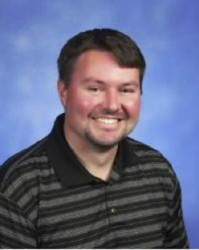 He has teaching certifications in Economics (6-12), History (6-12), Political Science (6-12), Business Education (6-12) and Marketing Education (6-12). Have questions regarding our digital arts courses? Develop digital design skills through our high school Digital Arts courses at Sterling Academy! We offer 4 courses in this subject area, each worth one semester (0.5 credit). Full-time students at Sterling Academy can take these courses for their electives. If you are a full-time student at another school but your school does not offer these courses, you can enroll at Sterling Academy part-time and take the courses you wish. These courses are 100% online, and since we are an accredited school, you can generally easily transfer credits earned back to your high school. What can you learn in our courses? Well, not only will we teach you how to apply established graphic design principles and how to use the digital graphic programs that are out there today, but also how to learn so that you can quickly adapt to the ever-changing list of new graphic tools. Our courses give you many opportunities to create vector based graphics, apply effective graphic design principles, and create 3-dimensional models and animations. Most of the digital tools we use in our courses are free. A typical course will ask you to create a project by first breaking down the specific skills you will need to know to succeed. You practice these skills separately, then you practice integrating the skills. At this point, you will feel confident as you successfully complete the required project. **These courses require students to download software. Minimum system requirements apply. *These courses require students to provide some materials in order to complete their projects.